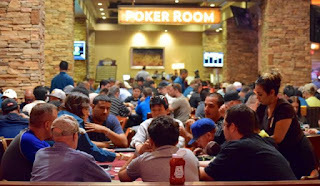 Two players tonight are winning their way to the 2017 WSOP $10,000 Main Event through a combination of their hours played in @TVPokerRoom and qualifying satellites. Players earned their way in to a series of satellites by logging at least 100 hours of play in TVPokerRoom. The field is now down to 29 players who come back tonight at 7pm to play down to the finish. Here are the final 29 players - with their chipcounts - and all the payouts listed below. Official 100 Hour Satellite Rules are listed here.